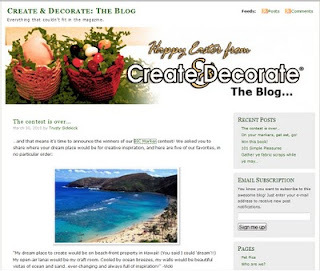 Create and Decorate: The Blog recently asked readers to submit comments describing dream locations for creative inspiration. I submitted my dream location ... and was chosen as one of the contest winners! Hawaii is my most favorite place on Earth! Wish I'd won a trip there, but the markers are very fun, too!